The doctor and operator of a South Bay clinic have been charged with insurance fraud yet remained open and continued to see patients this week. 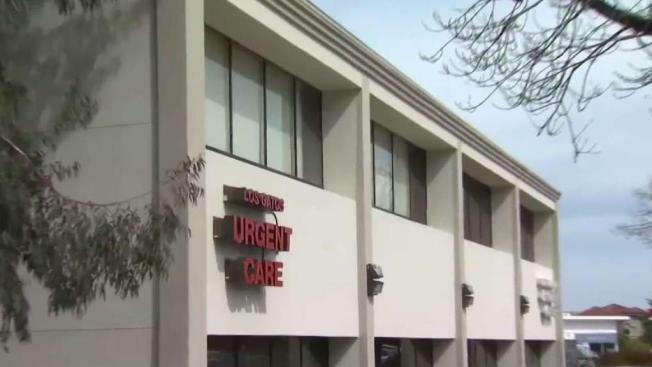 Dr. Farzaneh Tabrizi and her husband, who own and manage Los Gatos Urgent Care Clinic, have been accused of overbilling patients and billing patients for services they didn't receive. It's a case sparked by a couple several years ago after they were overbilled by thousands. In that incidence, Bruce Richardson, who went to the clinic after stepping on a sea urchin days earlier in Hawaii, was given a penicillin shot and a pair of foam slippers. He got a bill for $700. Weeks later, his wife Lainey got a stunning call from their insurance company. "They said, 'We are not going to cover the $15,000 penicillin shot,' and I said, 'What?'" Lainey recalled. "When we got the itemized bill, it was charged $700, and we looked on eBay, the slipper was a $10 or $20 purchase." Lainey sounded a warning, contacting the insurance commissioner, the California Medical Board and the Santa Clara County District Attorney's Office. Now, several years later, the DA's office has charged Dr. Tabrizi and her husband, Ali Moayed, with insurance fraud. The DA says the couple had a 100 percent error rate for billing, including falsely claiming a more serious injury or illness and billing for services not rendered. Investigators say one patient came in for a pre-employment drug test, and her insurance company ended up being billed $425 for a nonexistent urinary tract infection. In a statement, deputy district attorney Julie Sousa said: "People go to medical clinics to get care, not conned. The district attorney’s office has no tolerance for those in the medical profession who take advantage of ill and injured clients to defraud them and their insurance companies." Dr. Tabrizi and her husband did not respond to requests for comment. Both pleaded not guilty to the charges. Moayed surrendered his medical license in 2007 after being convicted of elder abuse and insurance fraud. He falsified reports to make it appear three patients had prostate cancer when they didn’t. "They were obviously looking more at money than care of the people," Bruce Richardson said. Tabrizi and Moayed are due back in court May 16. If convicted, they could face paying back tens of thousands of dollars in restitution and jail time.